Stone Sports Management, LLC (“SSM”) is pleased to announce that two of its longest tenured clients have each signed with 2015 USL expansion franchise Colorado Springs Switchbacks FC. 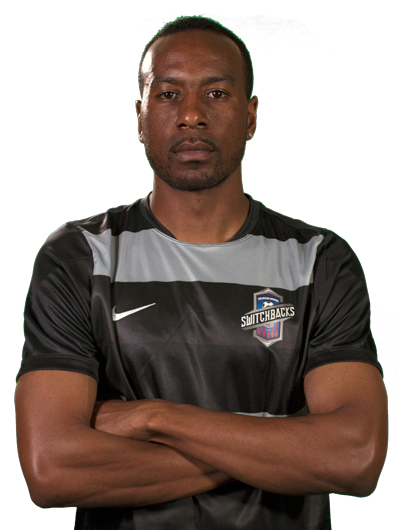 Both are expected to feature in 2015 with the veteran striker Aaron King returning to his home state to play, while goalkeeper Samir Badr looks to build on his 2014 season with then expansion franchise OKC Energy. "Aaron and Samir each have a great chance to make their mark in Colorado Springs during the club's inaugural season," says SSM’s President and Players’ Agent Justin Stone. “There is no reason why each cannot have their best professional seasons with Samir having the ability to play a full season as the number one and with Aaron shouldering responsibility playing in front of friends and family to score goals and be dangerous offensively." Although each signed in advance of the club's official announcments, Switchbacks FC announced Samir Badr's signing on February 2, 2015 and announced Aaron King's signing on February 11, 2015. 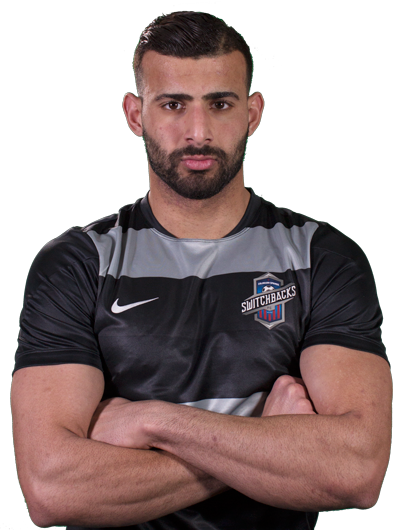 “I am really excited about joining Switchbacks FC and helping to play a real part in building something special in the city of Colorado Springs,” said Badr. Stone Sports Management, LLC (“SSM”) and Gold Kick CH (“Gold Kick”) together are pleased to announce that 2015 North American Soccer League (“NASL”) Expansion Franchise Jacksonville Armada has signed former UEFA and Asian Champions League Striker Alhassane Keita. Coming to North America puts Keita in rare company as he will begin his Armada career playing on a fourth continent, having previously been his club’s leading goal scorer on each of the previous three (Africa, Europe and the Middle East). The 31-year old former Guinean International joins the Armada after spending the last 18 months back in the Swiss Super League with St. Gallen where he posted 7 Goals in 29 appearances in the UEFA Europa League, Swiss Super League and the Swiss Cup during the 2013/2014 season between, accumulating a strike rate of 1 goal every 2.1 games (by total minutes played). He previously played in Switzerland with FC Zurich from 2001 through 2006 and would go on to play over 70 games in Spain’s La Liga and Segunda Division as well as three seasons in the Middle East based in Saudi Arabia and the United Arab Emirates. Keita recently terminated the remaining six months left on his original two-year contract with St. Gallen to come to the Armada. Keita currently remains in Spain awaiting his P-1 Visa. He will then join the Armada’s pre-season in Jacksonville along with his wife and three children one of whom is already an American citizen having been born in the United States. Today, Stone Sports Management, LLC (“SSM”) is excited to announce former Brazilian Youth International and 2003 U-20 World Cup Winner Adailton Jose Dos Santos Filho ("Adailton") has signed with Major League Soccer and the Chicago Fire for the 2015 Season. 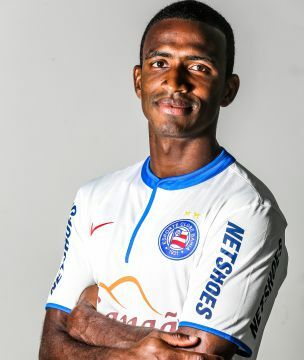 Adailton most recently played with Esporte Clube Bahia in his home city Salvador, Brazil featuring in four matches and yesterday terminated his contract allowing him to sign with the Fire on a free transfer. 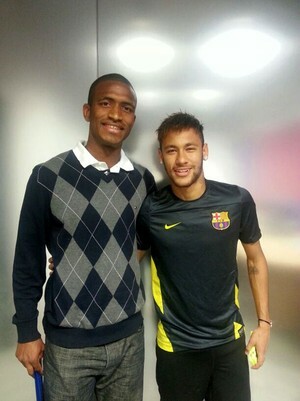 The 31 year-old central defender returned to Brazil in Summer 2014 after spending the previous five years in Switzerland with Swiss Super League side Sion FC (with two loan stints in China with Chinese Super League Henan Jianye and also with FC Chiasso in Switzerland) where he played along side 2013 MLS Defender of the Year Jose Goncalves. "It is with great satisfaction that I will continue my career with the Chicago Fire and play in Major League Soccer," remarked Adailton. "I have been watching MLS closely over the past several seasons and ever since 2004 while in France, I made it a goal of mine to play in the United States. I had other opportunities to join MLS clubs in the past but the timing was not right until this challenge with the Fire. I look forward to working with my new teammates and Coach Frank Yallop and his staff to take on the challenge of returning the Fire to the Playoffs and giving the Fire Supporters the trophies they deserve." Adailton comes to Chicago with a versatile playing background having played in Brazil, France, Switzerland and China. He is fluent in Portuguese, English, French, Spanish and Italian. He boasts leadership qualities having first Captained the Brazilian U20 World Cup team helping them win the 2003 World Cup in Dubai. 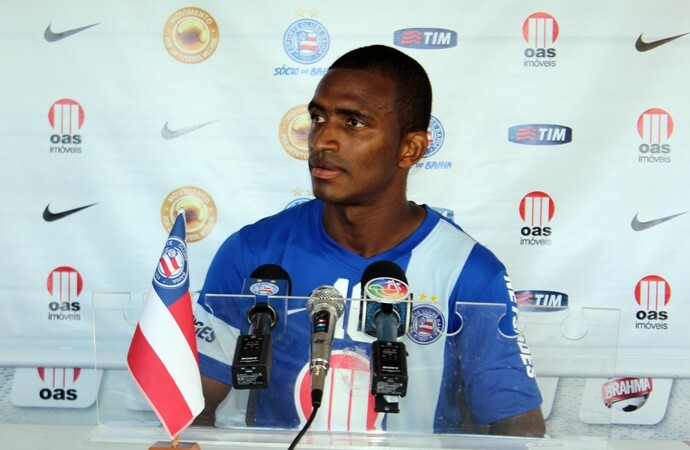 Brazilian giants Santos FC, Sion FC and FC Chiasso also elected Adailton Captain. French Ligue 1 side Stade Rennais signed Adailton for three years after his impressive U20 World Cup and after he broke through as a first team regular at his local side Vitoria SC. He then returned to Brazil with Santos FC signing for three years playing alongside Brazilian Superstar Neymar whom he shares a passion and friendship giving back to the Brazilian community through Socal Projects and Charity. Adailton joins a Fire squad that finished eighth in the Eastern Conference and out of the MLS Playoffs. He is expected to start in central defense next to Fire Captain Jeff Larentowicz and 2014 Team Defensive MVP Lovel Palmer, as the club has made several off-season international signings including two Designated Player Strikers David Accam and Kennedy Igbonanike as well as Defender Joevin Jones. "I am very pleased to have assisted in Adailton's transfer to the Chicago Fire and Major League Soccer," says SSM's President and Players' Agent Justin B. Stone. "I have known Adailton for several years and is an outstanding professional and person. He welcomed me to his home this summer during the World Cup and to meet his family, so it is with great pleasure to welcome him to the United States along with his wife and newborn son. I want to thank the Chicago Fire, Head Coach Frank Yallop and Technical Director Brian Bliss for their hard work bringing Adailton to the club. I am confident that he will transition well to MLS and that the 2015 season will be successful for Adailton individually and the Fire collectively." 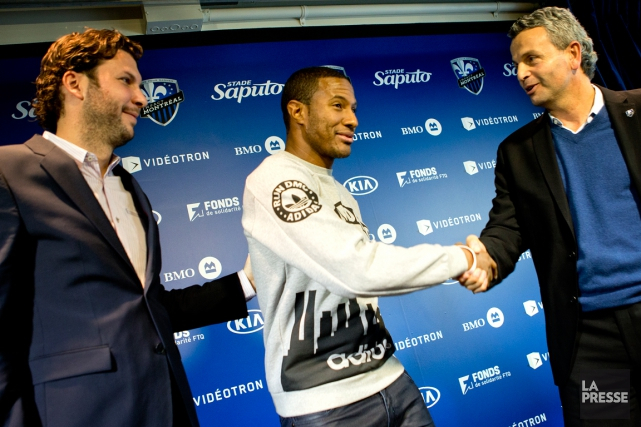 Stone Sports Management announces 2014 Montreal Impact Captain Patrice Bernier’s new contract with Major League Soccer and the Montreal Impact. The contract provides Bernier to remain with his hometown club through the end of the 2016 season, as he enters his fourth season in the MLS era. Click HERE to watch the Impact's Press Conference announcing Bernier's signing. The 35 year-old Montreal native captained the Impact during the 2014 season, his third season in MLS since re-joining the Impact from Danish club Lyngby BK in 2011. 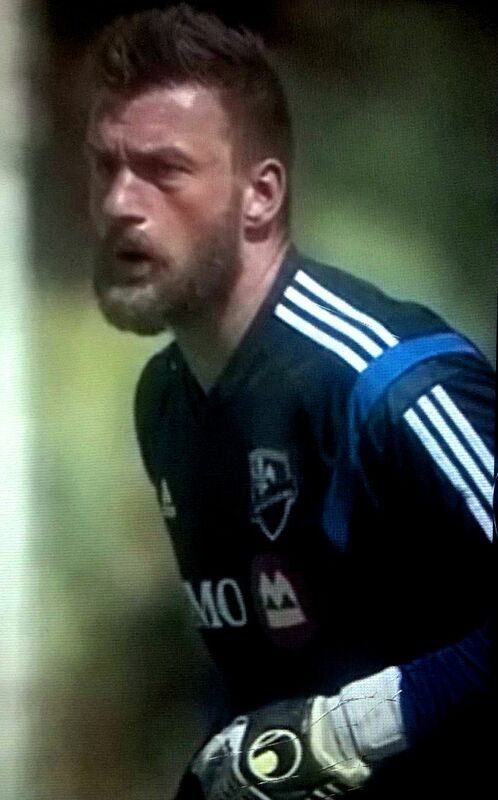 Bernier started his career with the Montreal Impact during the club’s NASL days after spending two seasons (1998 and 1999) at Syracuse University in New York where he earned Big East First Team Honors. "I am very happy to be back with the Impact," Bernier said. "I would like to thank the organization for allowing me to continue with this project. 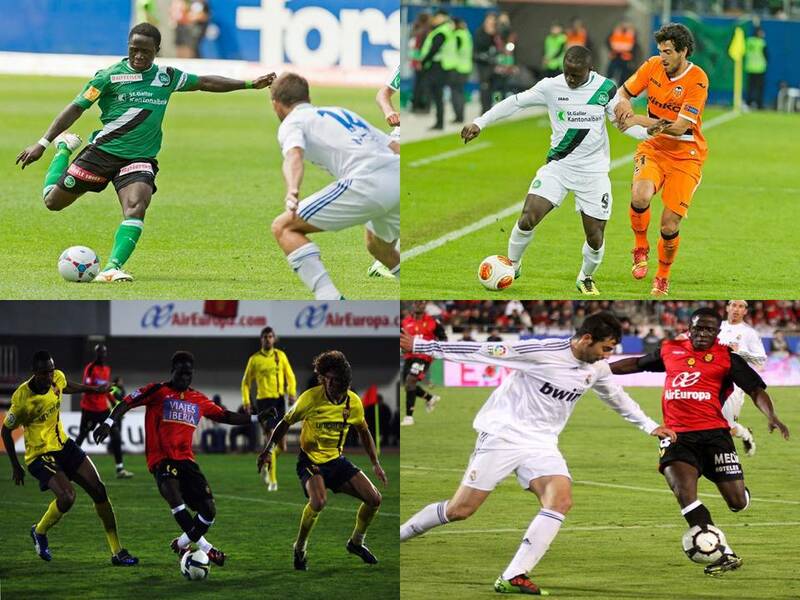 I feel that there is a solid visiion and some important additions in order to revive the team for the upcoming season. The objective will be to start the season string, as early as th emonth of February with our Champions League match [versus Pachuca]." 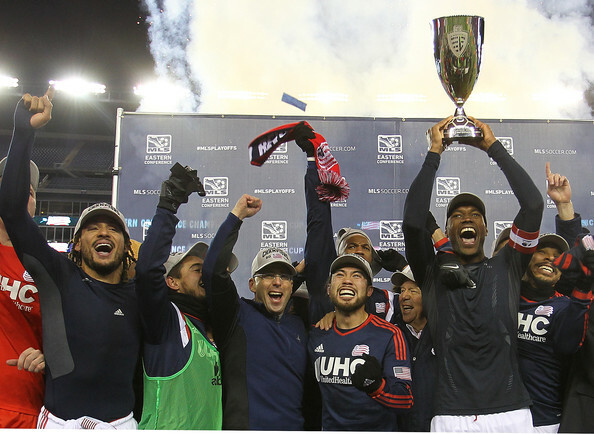 Stone Sports Management would like to congratulate New England Revolution Captain Jose Goncavles and the Revolution for winning the 2014 Eastern Conference Championship and advancing to the MLS Cup for the first time since 2007. The 2013 MLS Defender of the Year led the Revolution back line that whethered a Red Bull flurry in the late stages of the match where one additional away goal by the Red Bulls would have kept the Revs at home. The Red Bulls had taken the lead through Tim Cahill and scored the important second goal at 2-1 through Peguy Luyindula. However, Charle Davies scored his second of the match late in the game to put the home side ahead on aggregate after winning a week earlier 2-1 at Red Bull Stadium. 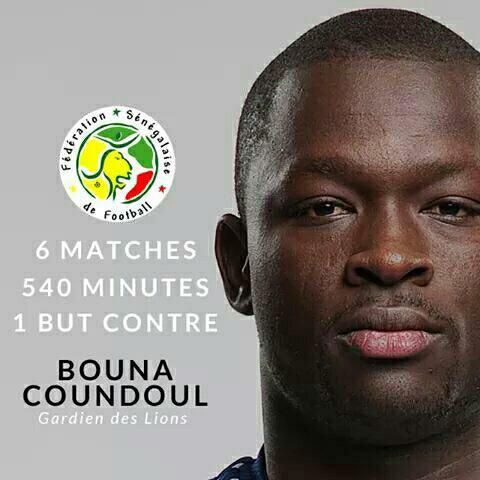 Stone Sports Management would like to congratulate Goalkeeper Bouna Coundoul and the Senegal National Team for advancing to the 2015 African Cup of Nations Finals in Equitoreal Guinea. Coundoul played every minute of the six group stage matches, conceding only one goal. His five clean sheets and only one goal against was best in the competition, as Senegal looks to win Africa's premier tournament that kicks off January 17, 2015. See the standings below as Senegal finished second to Tunisia.